So, you now have a six-month-old baby and hasn’t the time flown by! 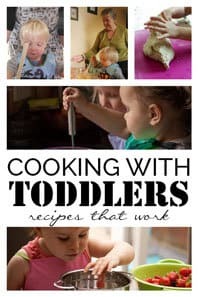 You’re probably wondering what you can do with your little one that they will enjoy. The six-month mark is when everything starts to get a lot more fun. 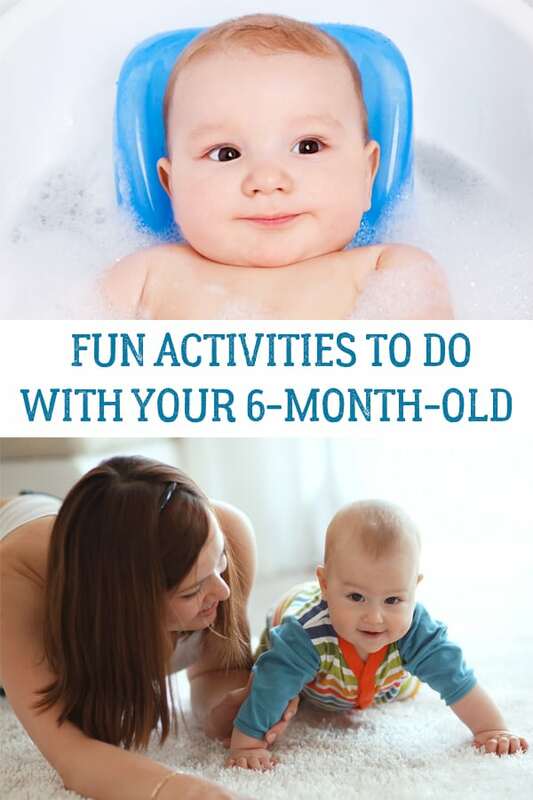 I’m excited to share these ideas with you because not only will these activities help your baby’s development while also providing fun bonding experiences for your family. 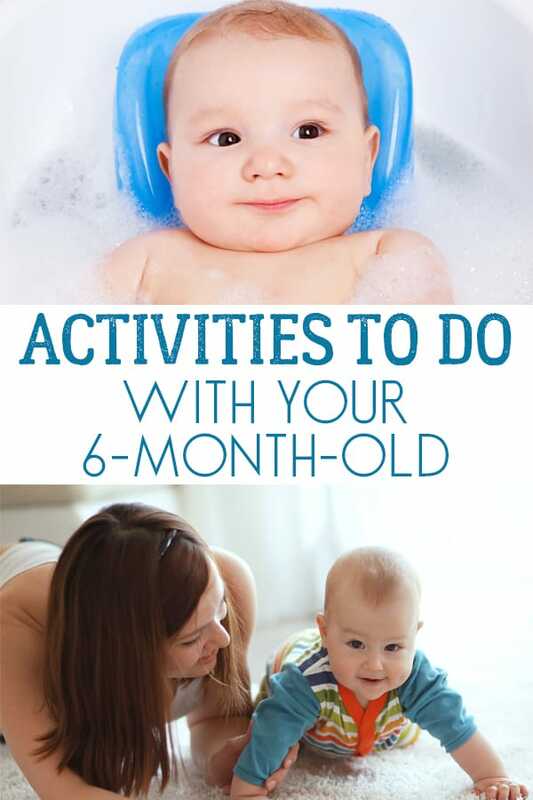 Check out these wonderful activities that you can do with your 6-month-old and let me know your favourites in the comment section below. When looking at these activities remember that not all babies develop at the same rate. 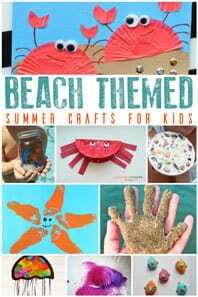 Some of the activities suggested maybe a little advanced for your babies current level. 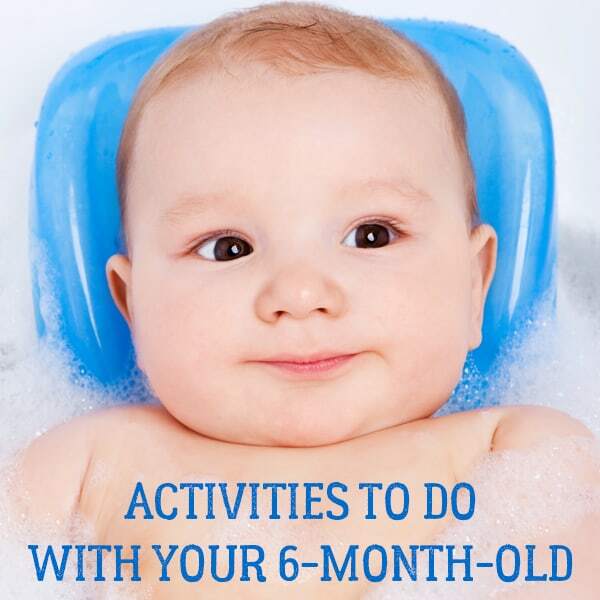 Instead, why not check out our activities for 5-month-olds. 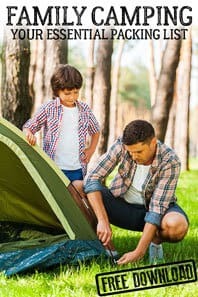 If you are concerned with your babies development then seek professional advice, we are not medical personal these are just activities that we enjoyed doing at the ages with our children. Not only is a walk good exercise for you, but walking is also beneficial for your baby. It was one of our favourite things to do we would go for a lunch time walk before my babies naps. You may choose to wear your baby in a wrap or carrier, or perhaps you’re more interested in a stroller. Either way, going for a walk helps your baby discover the world around them. It’s a great way to introduce seasonal language e.g. look at the frost on the trees, see the baby ducks in the pond, wow aren’t those flowers so pretty in the summer sun, or look at how the leaves are changing colours now. Now is the perfect time to expose your baby to different textures. 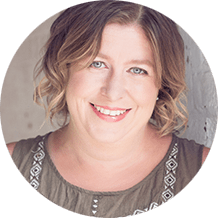 Whether your baby is just rolling, sitting or on the move getting down on the floor, ground and feeling is all new. 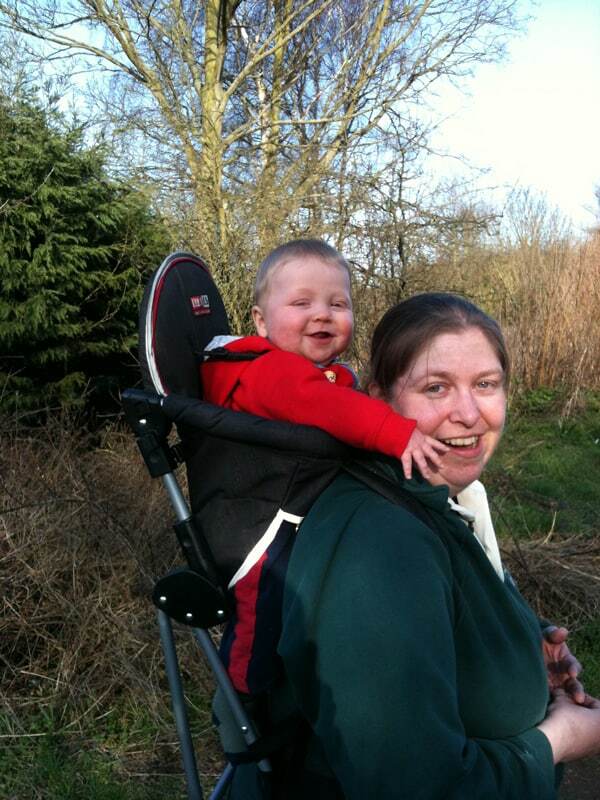 Playing outdoors on different surfaces allows your baby to experience something new. Of course, you’ll want to watch out for choking hazards, but otherwise, let your baby play and explore. And if it is raining then get down on the different surfaces within your own home. Bouncing on your leg is a perfect game for your six-month-old baby. The important thing here is that baby games don’t need to be complicated. Your baby will enjoy the movements, and you’ll likely get some giggles out of them too. Try adding a “ride a little horsey” song to your movements if you want some variety. 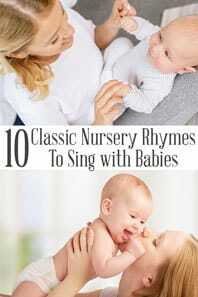 Check out our classic nursery rhymes and songs for inspiration of some to sing whilst you bounce. At this time, your baby probably hasn’t discovered splashing yet. So, enjoy this time while you can and before it gets messy. Baby’s love the feel of floating in the water and the water running over their body. Bath time shouldn’t just be about getting clean. 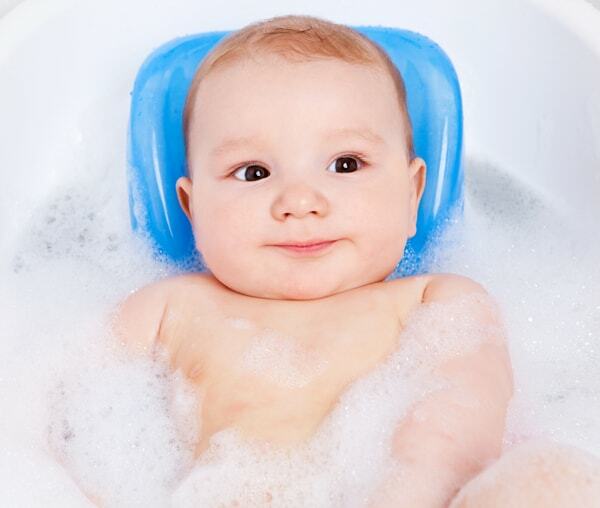 A baby’s bath should also be about introducing new feelings to your little one. Let your baby enjoy the sensation of water being poured gently on their head, or take their little hand and splash around a bit. Bath time is a wonderful way to get baby’s brain stimulated. One of the most exciting developments at the 6-month mark is that your baby is fully ready for food. 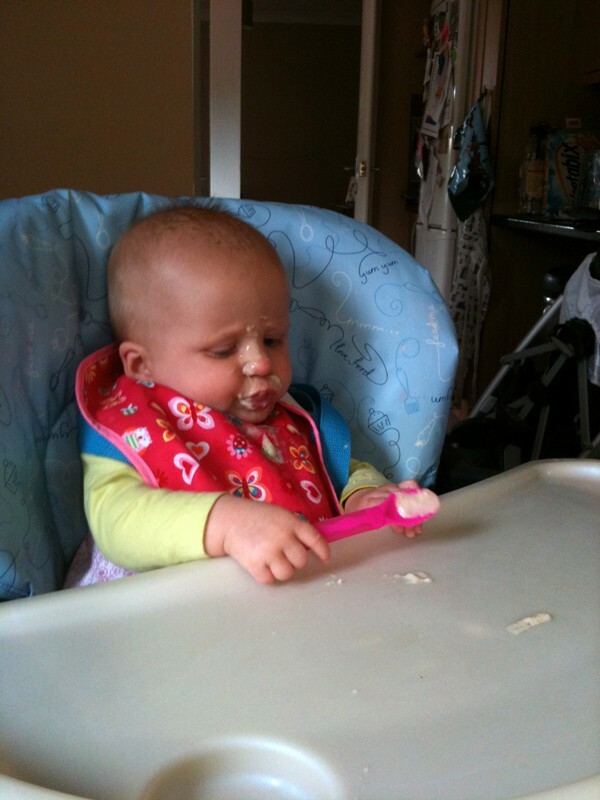 Food is mostly for fun at this point in your baby’s life. Let your baby touch, taste, and smell the food you put in front of them. Don’t be concerned about the mess though. Just remember that messes equal memories. 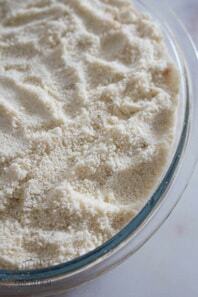 Our Spaghetti Sensory Play Activity is ideal to introduce at that age. 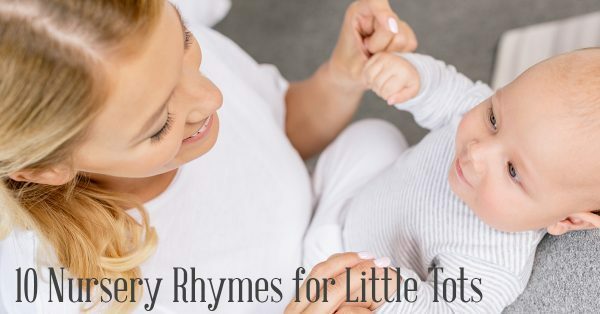 As your baby is probably rolling everywhere this fun and silly changing mat song and activity may help and keep your baby on the mat long enough to change them. 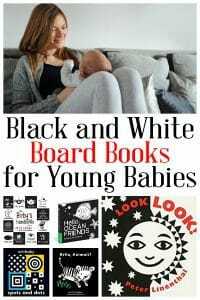 Don’t put away those black and white board books just yet. With your 6-month-old you will be amazed at the difference reading these now makes. You can point out different things and you may find that your little one tries to help turn the pages and will start to point to things on them. 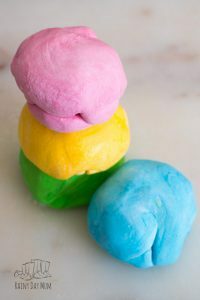 With edible playdough, you can use this classic sensory play material without fear that your child will eat the dough and be harmed. Always supervise whilst you do this with your little one and don’t encourage them to eat it. 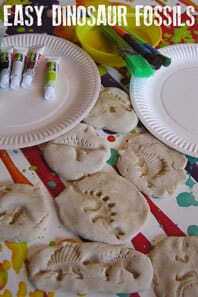 But is makes for a different sensory experience for them and at 6-months it’s fine to start to introduce.